The Salt Water Flush, is a long used “hack”, or trick to create an on-demand bowel movement of sorts. By drinking a sea salt solution, we can use the bodies own defense mechanism to temporarily suspend “digestion”, and engage the “elimination” mechanism to remove the salt water as fast as possible from the body. Why on earth would we possibly want to do this you might ask? Why should I do the Salt Water Flush? The Master Cleanse is a liquid only juicing fast, that doesn't contain any fibre, and therefore no natural bowel movements will occur since it's fibre that engages our digestion, and the process of peristalsis, (waves of muscle contractions in our digestive track), which passes our food along the disassembly line digestive system. 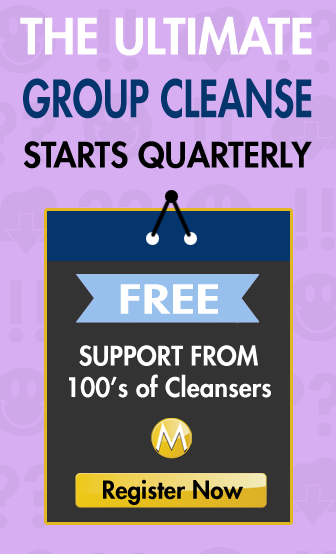 Many people for ages and ages who aren't on The Master Cleanse use the salt water cleanse to help with constipation, bloating, colon cleansing etc. There is naturally a vocal cohort of those against this practice, but it's been proven safe and effective for these purposes for at least hundreds of years, if not thousands. One of our most common and frequently asked questions about the whole of Master Cleansing is about The Salt Water Flush, specifically about if the are alternatives, tips to make it easier or just ways around having to do it all together. Great news if you're in the camp of many people find the whole sea salt cleanse idea difficult; The Salt Water Flush is optional. But I find it very helpful in addition to the other hack we have at our disposal, the herbal laxative detox tea. The Laxative tea is like a deep down purge scrubbing and digging into corners where the salt water flush is more like power car wash blasting away surface grit and grime. Because it can be a challenge, I recommend alternating days on the SWF and the Laxative. That's it. The most simple recipe in the world I believe. Now for the fun part. This is where you'll want to follow these carefully to ensure you're not stuck wondering, why the salt water flush is not working. There are inevitably many tips to make the seal salt water cleanse easier, but I am going to outline my standard procedure after many, many successful flushes of the saline variety under my belt. You can even check out the video on YouTube on how to do the Salt Water Flush so it works every time. Wait at least 1 hour after your last food of any kind (including lemonade), or do 1st thing in the morning in a fasted state. Mix into the water 2 teaspoons of salt, shaking and stirring until fully dissolved. Drink the entire solution in 5 minutes or less. Try to drink in 1 big chug as I did in the video. I think it took me 20 seconds. (Optional) Lie on your right side for 30 minutes. This will help the water pass through your system fast and more assuredly. Hold It! Through the initial rumbles until you can't hold any longer. This will ensure a nice big build up and I find sets the stage for the rest of your movements. Once you feel you can no longer hold out, go to the bathroom. A word of warning while you wait for this moment. DO NOT FART!!! You will most certainly not pass only air – if you know what I mean. This is also true throughout the rest of your day. Don't be fooled or you will be leaving work to change your shorts. The first movement will be rather large and fairly powerful. You will want to flush almost immediately. In order to understand the whole messy details, take a look… if you dare. Be prepared for 1-2 hours of movements. This is why I recommend doing the Salt Water Flush in the morning (along with being in a naturally fasted state). You might have 1-7 movements, with the first one being the most substantial, and subsequent movements being lesser and lesser so with each passing flush. Take your first lemonade after your first movement. You want enough time to pass for the liquid to pass through your stomach and into your colon before your stomach is ready to process your lemonade. Start your day when movements are 15 minutes apart. After that you should be ok to hold it until you can find a washroom should you have to go to work, or out into the public world. For this reason I choose to undergo this process in the evening, with nowhere else to go for the rest of the day. (Also, because I like to have a shower following, and truth be told, I am not exactly a morning person.) The Salt Water Flush isn't exactly pleasant, but it's critical to an effective detox. The original book says 2 teaspoons, but I have used 1 tablespoon almost every time and it works for me the same. The last time I did the cleanse, I tried it each way (once with 2 teaspoon and then again with 1 tablespoon), and each time I had success. 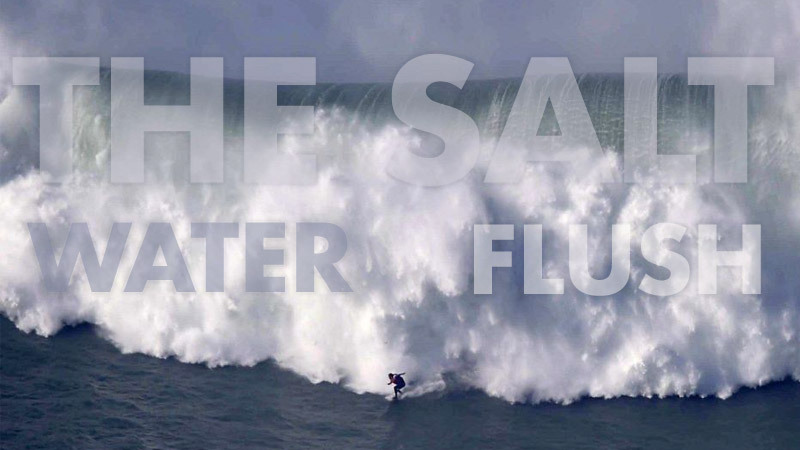 Can't stand the taste of Salt Water Flush? Here are some simple tips to get that ” sucker” down. Focus: Shake it well and move to the sink. I like to “pound it” – perhaps because I like to pretend I am still in college and the sea salt is actually a keg stand. I also move into the bathroom and stand in front of the mirror. Somehow, by watching myself, I can manage to drink the whole liter in one try, spilling very little. This too is a challenge in itself, especially once your stomach has become very small from taking no solids. Chances are, you will feel full halfway through, so just keep going. Stopping only makes you taste the salt, and will activate your gag reflex. While it is not required to drink the solution in one go, you will find that the taste is such that you will want to get it down quickly. It is not awful, but it is not exactly pleasant, and therefore I choose to get it over with. I also enjoy the little challenge. Shoot & Chase: I haven't tried this method but it seem reasonable. Split your water into two 500 ml containers. Mix all the 2 teaspoons into 1 container. Drink that one first. Then chase it with the plain water ASAP. That's critical because you want the two “doses” to mix into one inside your stomach. This should cleanse your palate quickly, removing the taste of salt and getting your mind off the unpleasantries. Check out our full post (9 other tips) on the salt water flush tips here. The following 11 questions are listed in order of frequency received (as well as some variations on the same question. We cover these questions in detail in our frequently asked questions section of the website as well as many more so if you're still challenged to tears about this process and your determined to get this down, make sure you check the answers in full. Can I do the Salt Water Flush at Night? When do I do The SWF? Can I Salt Water Flush after Eating? When do I do the SWF if using the Laxative too? Are there Alternatives to The Salt Water Flush Recipe? Is it Really Necessary? Is the Salt Water Flush Safe? Don't you die from drinking salt water? What happens to my body from all that salt (especially if it fails to “flush” and pass through me. Do I need both the Laxative and the Sea Salt Flush? No. The SWF is optional. Repeat. The SWF is optional (but highly recommended). The senna laxative herbal detox tea is mandatory (or at least 1 movement a day is mandatory. (full answer here). What kind of Salt do I use? Is Table salt OK? Is Un-iodized Sea Salt Ok? How can I Drink all the Salt Water? It's hard? How to make it easier? My number 1 tip is to chug it all. Just get it down. Learn to manage the gag reflex. Concentrate, distract, trick yourself. Lots of our top tips include making the salt water taste better including warming the water, adding some lemon to the water (just a little). We've compiled a whole list of these tips in our full FAQ post. (full answer here). How long do I wait until I start the lemonade after taking the sea salt? Wait until you've had your first movement. You want the salt water to pass through your stomach and into your colon so that your stomach can switch gears and start digesting instead of flushing. This is another reason to not take too long to tae the whole salt water liter. The longer you wait to start your lemonade the worse you'll feel as you need that energy first thing in the morning. Can I keep doing the SWF during the Ease-Out or after the master cleanse (to help with constipation for example). Of course. But you'll want to still make sure you're not taking it on an empty stomach, and use it like a silver bullet, reserved for special occasions. This is one of those things you don't want to over do. It's hard on your system and if you're doing it every week, you'll never rebuild your gut microbiome (good bacteria). If you're still persistently constipated, you'll need additional therapies to address the cause. Typically however, TMC has a knack of clearing up the issues that may have created your constipated state. So wait and see, but as always, be wise. You also might want to check out our FAQ or Frequently Asked Questions page will address most questions as well this Common Mistakes page. What Else can I Expect from the Salt Water Flush? Of course, along with the sea salt, you will be expelling waste. During the first 2 days you will be moving out remaining solid matter in the digestive tract from the days prior to this. If you began your diet immediately, this will be more true than if you Eased-In, and therefore have only juice in your system. Regardless, you'll be surprised to see (if you dare look) that for days and days you will continue to expel solid matter. Gross, to be certain, but also empowering. You really begin to understand the value of this process when you recognize the elimination of waste that has been stored in your body for months, even decades. Do I do the salt water cleanse at the end after 20 days of the lemonade ? Do I need to do the SWF if my bowels open each morning? I mean, I’m poo’ing a bit each morning, so do I still need to put myself through that?? I take the Himalayan Pink Crystal Capsules. Works great.! I did the SWF using 2 tsp of Himalayan pink salt with 32 oz of filtered water. I did work after about 1 hour. But, I was blotted all day. Can you explain why for me. There’s no such thing as HImalayan Sea Salt. There is no sea anywhere near the HImalayas. What is the lemonade that you’re referring to? And how do you use it with the SWF? SUCCESS!! — On day 3 I decided to give into the Salt Water Flush…(was using Senna Tea morning and night, but wakes me at 3am after drinking the tea at 9:15pm!). I had an 8:30am meeting, so I drank my lemonade at 7am, then drank the salt water after I got home from the meeting at 10am. I slightly heated the water (4C) in a pan on the stove and dissolved 2 teaspoons of pure sea salt (chose one that only ingredient was sea salt, one of mine had an added non-caking agent, so didn’t use that one). Salt is easier to dissolve in warm water. I even googled yoga poses to help with Salt Water Flush and did the standing poses (pretty easy & mostly twisting at the waist). I was skeptical that it would work for me after waiting 35 minutes and NOTHING happened. I massaged my gut also after drinking the salt water, laying down and alternating sides. I also drank additional filtered water. I had only slight movement feeling in gut and thought hummm, I’ll try and go to bathroom since it had been an hour exactly…VOILA!! It worked! So excited! Thanks for your video and explanation on your site. Do we eat while doing the Master Cleanse or nothing at all? Still uncertain about completing the SWF WHEN you are coming off the MC…….I typically DO complete it…..if not…..my body will not complete on it’s own…..yes or no? Just started(11/01/2017)……all time best is 27 straight days!!! pounds before the holidays!!! Yeah….Turkey Day!!! 4th day. Honestly, I can deal with the taste, but I can’t deal with the fact that it doesn’t get flushed out of my system. I even increased the dose of salt put in the water, but it’s not working for me. I even get headache every time I drink the salt water. So, i am giving up on the swf it is not worth all the gagging for me.